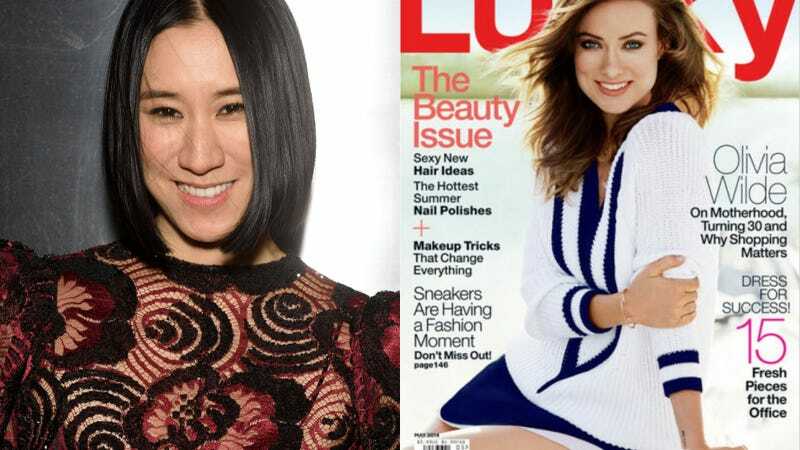 Page Six is reporting that Condé Nast is considering shutting down Lucky Magazine. What? There's a few reasons this gossip makes little sense. First, the company denied the claims to the New York Post, which would normally not mean much except that they pointed out that Lucky's ad sales for May are up 19 percent. Secondly, as we've mentioned before, Condé Nast has been giving a ton of attention to Lucky, moving new editor Eva Chen to the publication last year from Teen Vogue. Chen has been well-received for injecting a new energy into the magazine and has gotten lots of positive press for her impressive Instagram presence. She's also already subtly denied the claims on Twitter. And thirdly, Lucky – a women's magazine very much focused on fashion – is exactly the kind of brand Condé Nast wants right now: one that is blatantly connected to buying things (their tagline is "The Magazine About Shopping"). That's a direction Condé's other publications are going in; why would they want to get rid of the one already set up to achieve that goal?